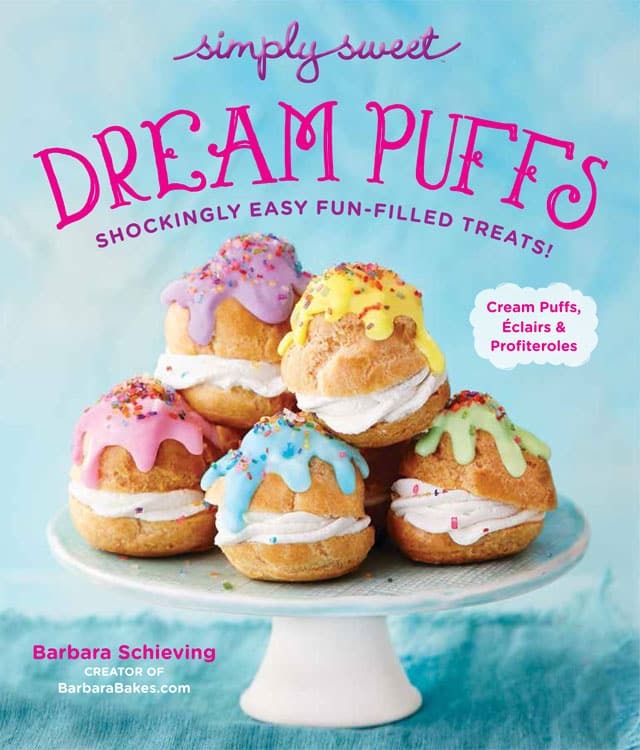 I make a perfect pasta salad, my Peanut Butter Nutella Cookie Cups are always a hit, and I even thought about making Dara’s Savory Mango Chutney & Cheddar Cheese Palmiers, “Elephant Ears”, which are fabulous. 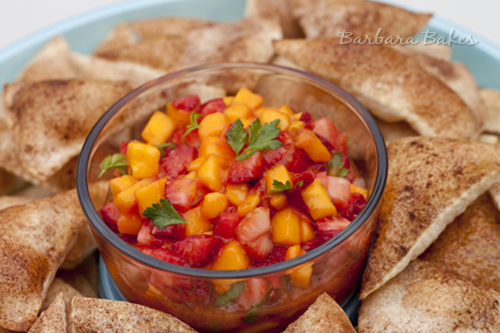 In the end, I decided to make Strawberry Mango Salsa and Cinnamon Tortilla Chips. 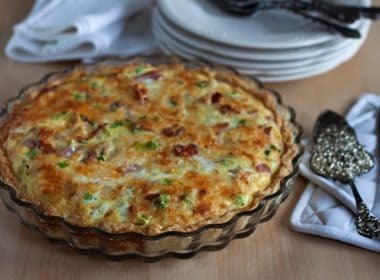 It’s a colorful, light, refreshing summer appetizer and when I make it for my family it disappears as quickly as I can baked the chips. 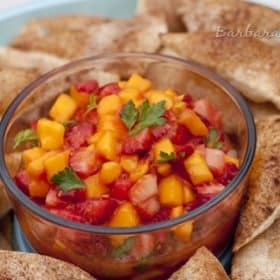 Our Best Bites has a great tutorial for making fruit salsas with different fruits and I incorporated many of their tips in my Strawberry Mango Salsa. They also have a recipe for cinnamon tortilla chips using cooked flour tortillas, but I’m crazy about the Tortilla Land uncooked flour tortillas. They are thinner and bake up light and crispy. If you haven’t tried them yet, you need to. I bought mine at Costco, but I’ve seen them at Smith’s and other grocery stores. 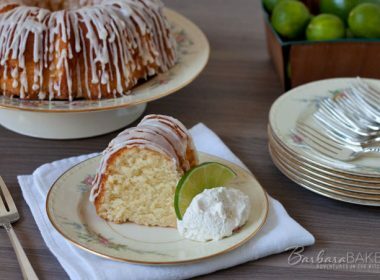 Sophistimom posted a Cinnamon Tortilla Chip recipe using uncooked tortillas and my recipe is kind of a combination of the two. 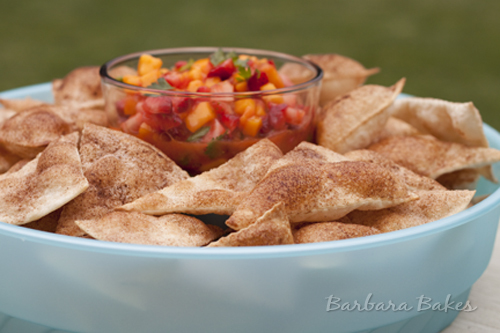 This recipe makes enough fruit salsa and chips for a party. 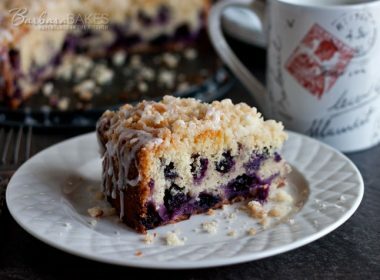 If you’re making them for a smaller group just divide the recipe in half. Although if you decide to make extra, the salsa is still fresh and delicious the next day. I keep the chips crisp by laying them on a paper towel and sealing them in a Ziploc bag. Combine all ingredients in a medium size bowl and chill before serving. Preheat oven to 400º. Combine cinnamon and sugar in a small bowl. Spread a teaspoon of butter on each tortilla and sprinkle cinnamon sugar mixture evenly over tortillas. 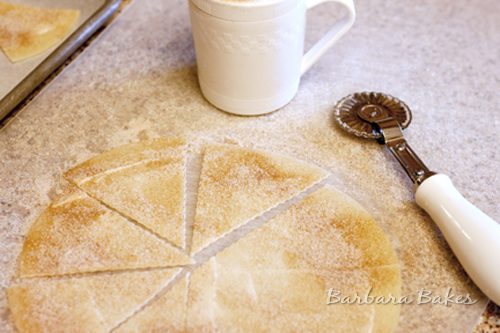 Using a pizza or a pastry cutter, cut each tortilla in to eight wedges. Place wedges on baking sheets lined with parchment paper (sugar side up). 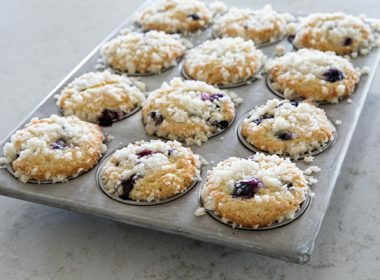 You can bake more than one tray at a time, but be sure and rotate them half way through the baking time. I bake 16 wedges per baking sheet. IIRC, what you’re making with these unbanked tortillas is called sopapillas. I can’t be certain because despite the many failed attempts to make these tasty and fried lil treats with my Nana, who passed around ten yrs ago. 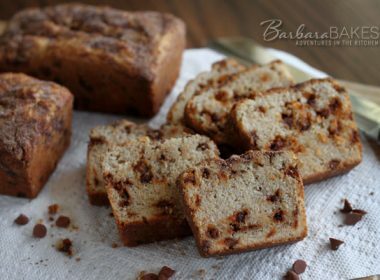 Try topping them w/ sifted powdered sugar and honey, which is how they’re usually served. You can also coat them after frying them with cinnamon sugar, which are known as buñuelos, another simple treat. 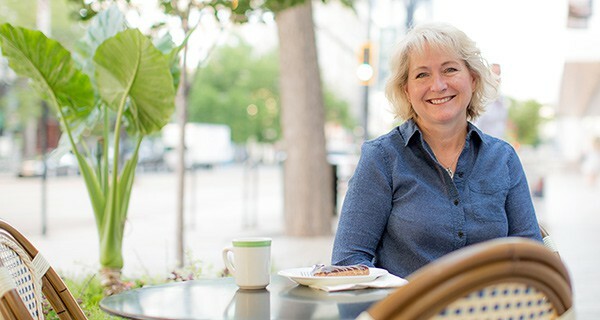 Hi Kat – generally the sopapillas I’ve eaten have been thicker and more pillowy soft, but I’m sure it varies. What a nice memory of your Nana. I like Deb’s idea for substituting mint for the parsley in this. It would have the same contrasting green to look nice with the fruit but also be a cooling summery flavor. Love all the colors in this salsa, and together with the cinnamon chips it makes a nice dessert-type item without being too high-calorie.